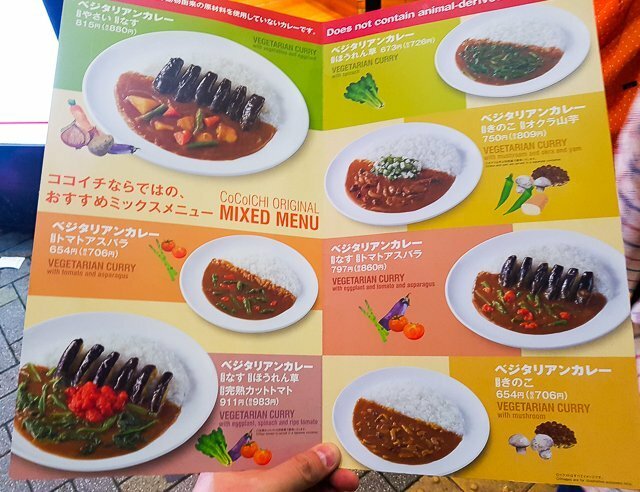 Vegetarianism is still a rather foreign concept in Japan; when I was there with my SO (he’s a lacto-ovo vegetarian), we found ourselves explaining to waiters very often that seafood and meat were not okay food choices for vegetarians. Fortunately, we managed to hunt down a couple of restaurants that were exclusively vegetarian/vegan or had clearly labelled vegetarian options. Read on for the full list (updated on 14 April 2019 with a new restaurant!). 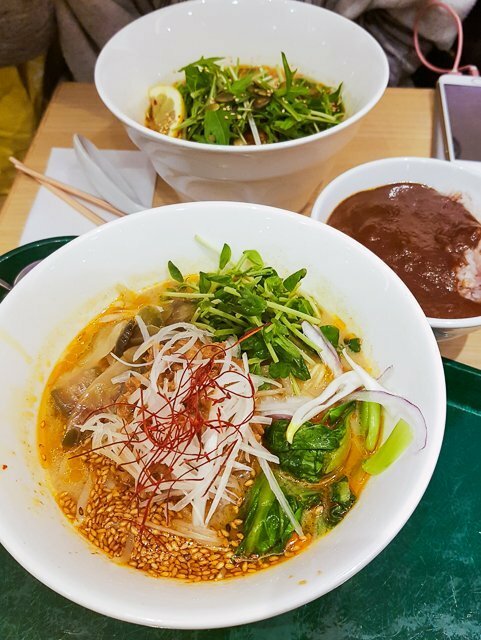 Japanese Ramen and DanDan Noodles with no seafood, meat, dairy or eggs. 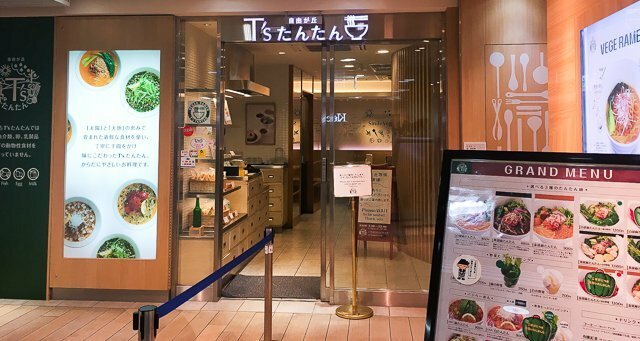 T’s TanTan is located inside Tokyo station in Keiyo street; you’ve got to tap into the gantry and make your way towards the Keiyo line. The restaurant serves Dan Dan noodles and ramen and they do not use meat, seafood, eggs or dairy in their food. I’ll recommend the sweet and sour ramen and the curry rice as a side dish. The taste was very refreshing and the noodles were springy and bouncy. Prices are affordable as well with prices ranging from 780 to 900 yen per bowl. 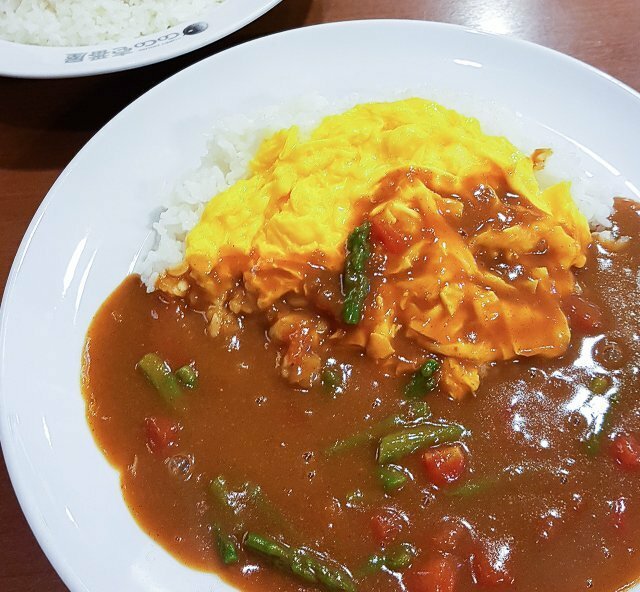 This curry rice chain is everywhere! And in case you don’t know, they do have a vegetarian menu. So if you find yourself not knowing what to eat, Coco Ichibanya could be a really convenient option. If you take eggs, you could also add scrambled eggs to your rice. 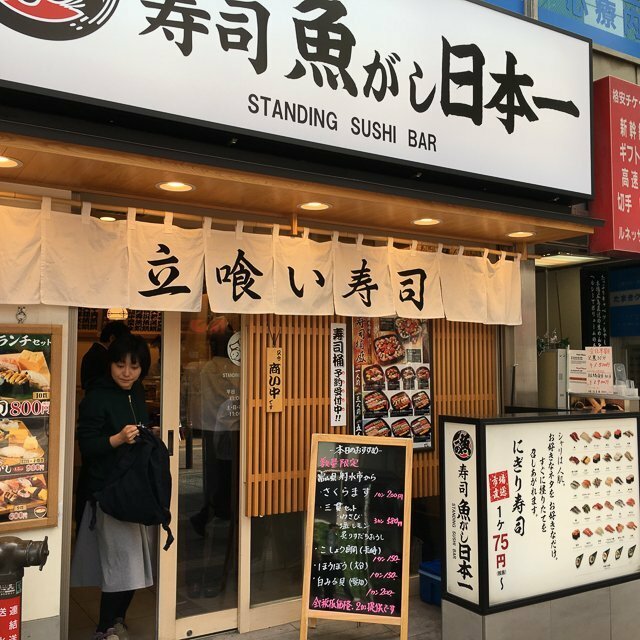 Your meal could be settled with 1000 yen or less here. 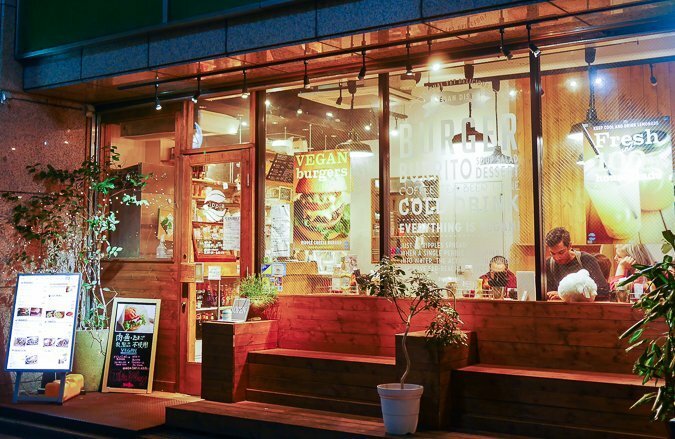 Ain Soph Soar is part of the Ain Soph chain of restaurants in Tokyo. 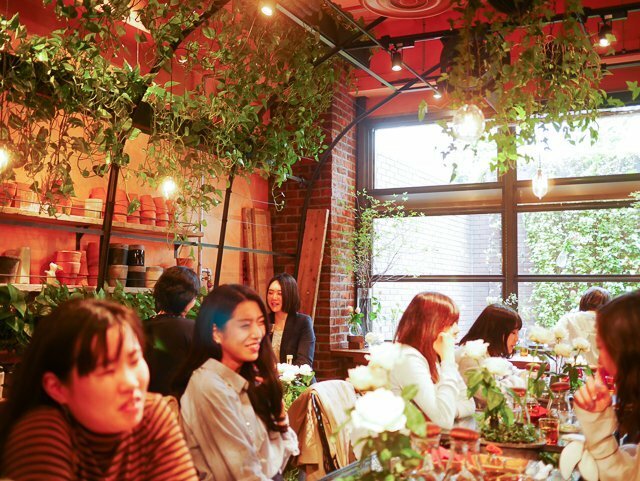 The restaurant focuses on Japanese-French cuisine and uses seasonal plants and fruits in its menu. 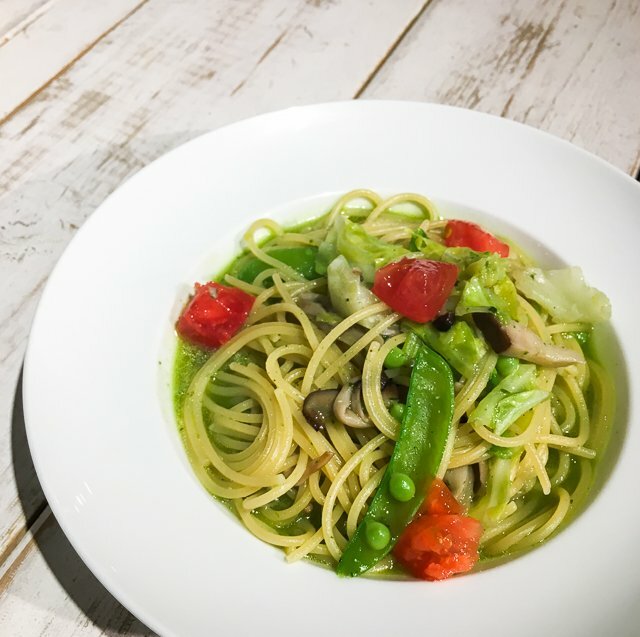 It shouldn’t be difficult to hunt down the restaurant with its accessible location; opposite Sunshine City, it is just ten minutes from Ikebukuro station. The interior is very cozy and spacious. We ordered their seasonal pasta which, if I recall, was pesto with edamame. The taste was refreshing but not superb. My favourite was their seasonal pancakes which was heavenly! 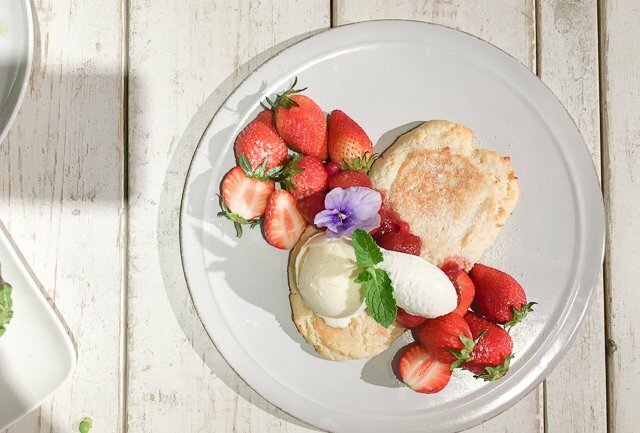 Generously peppered with juicy strawberries, the pancakes tasted a little like cookie dough and was absolutely enjoyable. Their prices are a little on the high side though with the pancakes setting us back by 2200 yen. 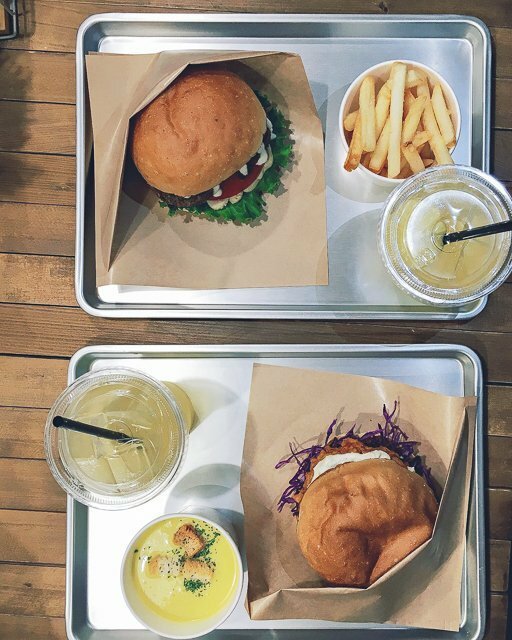 Serves vegan burgers, burritos and some light sides. The nearest station to the cafe-style restaurant would be Seibu-Shinjuku station. You could walk from Shinjuku station too, which took us about 20 minutes. Walk through Kabukicho to do some sight-seeing on the way. Many reviewers recommended the crispy soy chicken burger but I thought it was okay at best. 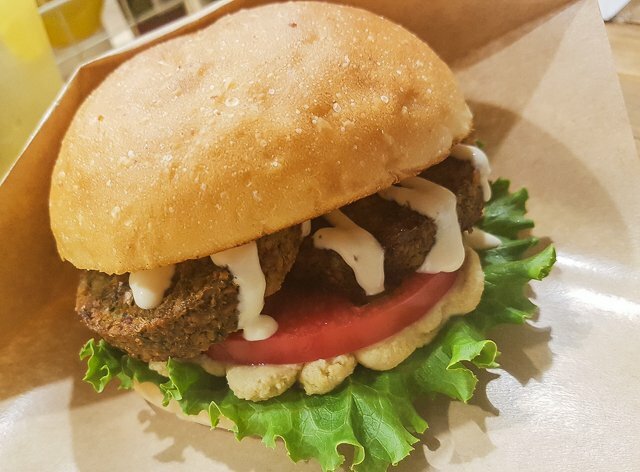 I would recommend the Falafel burger instead…it’s making me feel hungry as I reminisce. Burgers are slightly more than 1000 yen each. 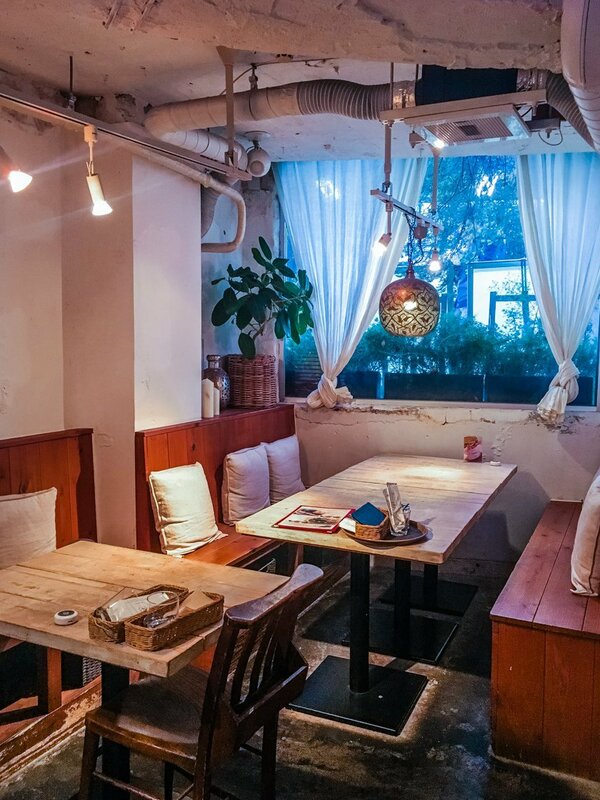 Conveniently located outside exit C5 of the Shinjuku Sanchome station, the restaurant appears to be no more than a hole in the wall but unfolds into a more spacious area as you step upstairs. 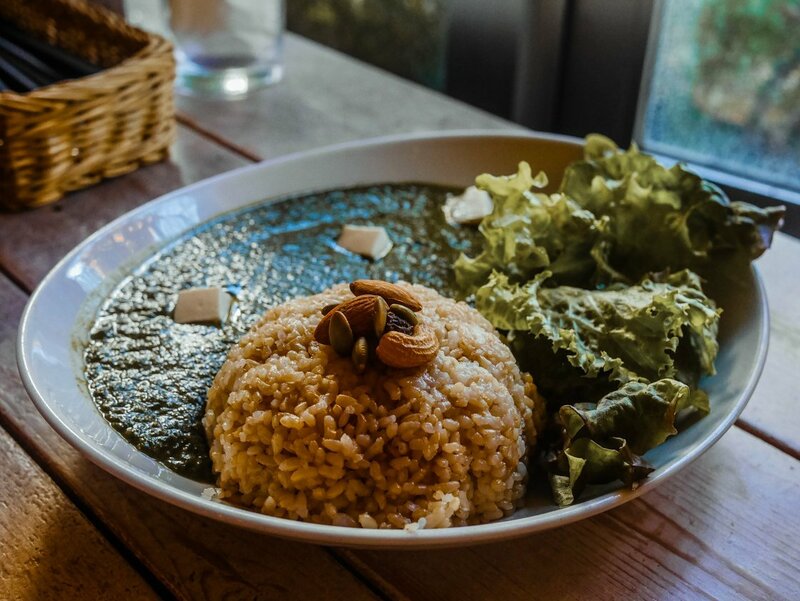 As with their other restaurants, their entire menu was vegan. We tried Hayashi rice lunch and their green curry lunch, which cost about $22 each, and we preferred the green curry. 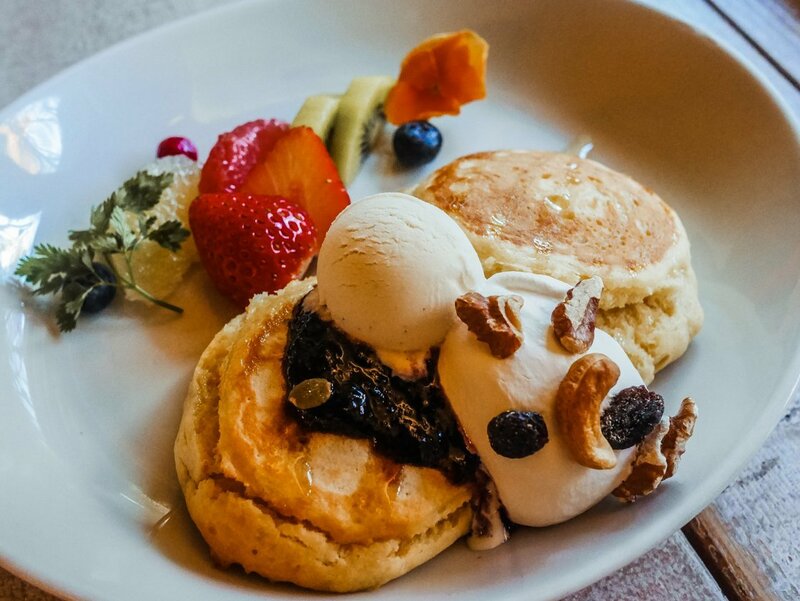 We couldn’t resist desserts and ordered pancakes. Ain Soph’s pancakes never disappoint. Or any sushi restaurant actually. 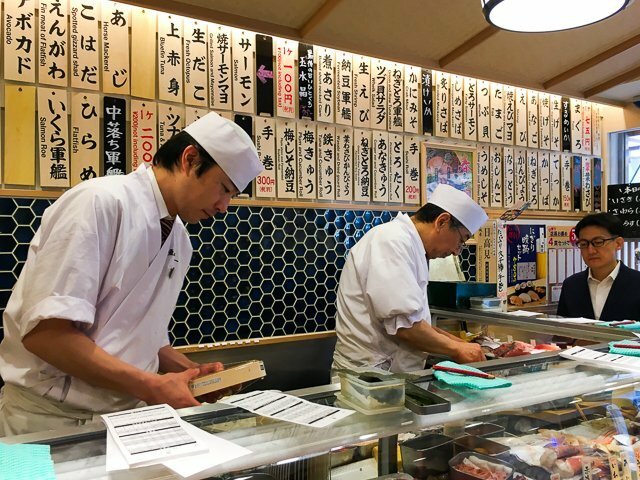 But I’ll recommend Standing Sushi Bar and sushi restaurants with conveyor belts for the Japanese ambience. 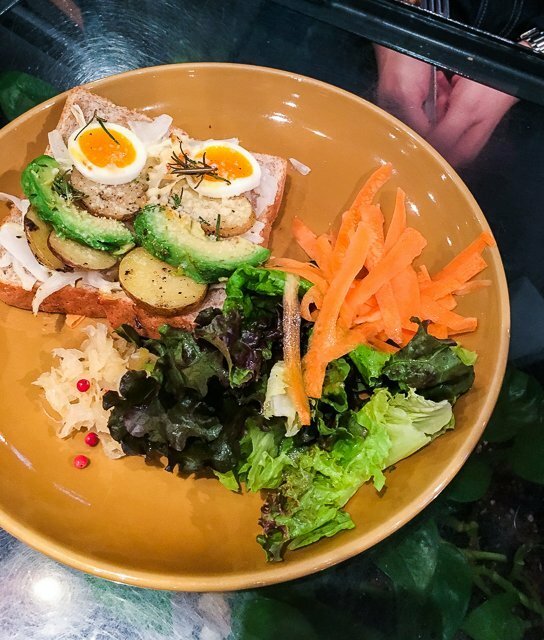 The avocado sushi is a must-try. 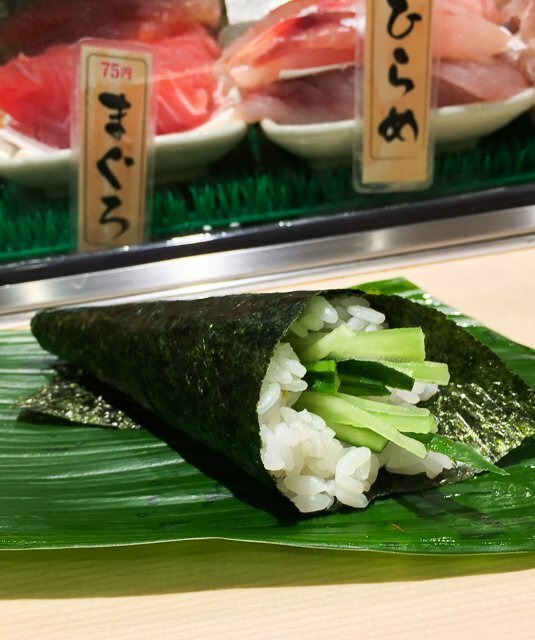 Some other sushi that are suitable for vegetarians would be kappa temaki (handroll) as pictured, natto, inari and oshinko (pickled daikon radish). 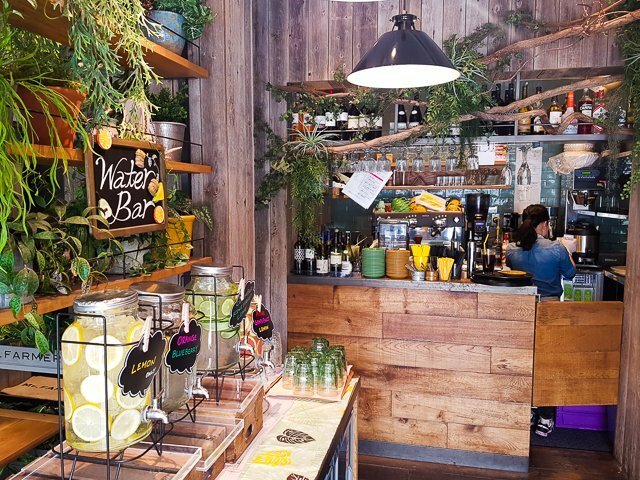 This is where we head to for a quick breakfast fix. 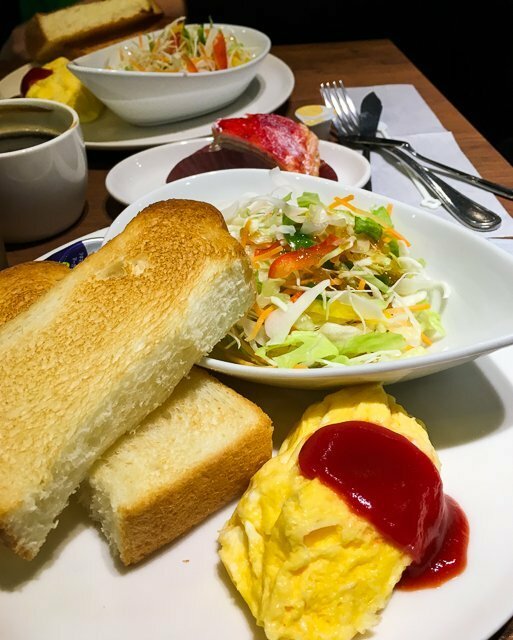 Their breakfast set is pretty affordable and the taste is really not bad! There are branches all over Tokyo; we visited the Ikebukuro branch frequently on our last trip as we stayed nearby. 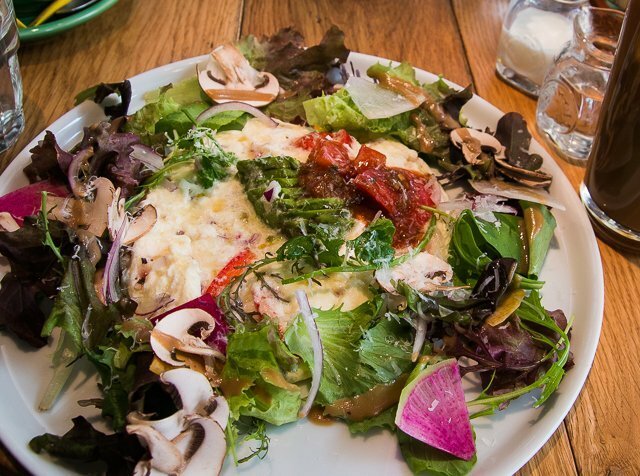 Mr Farmer serves lots of vegetables on their menu for the health-conscious. There are also some vegetarian/vegan options. While it was a tad expensive, the ambience more than made up for it. The branch we visited was near Shinjuku station, in Mylord/Myroad mall. We ordered the Mexican egg white open omelette (pictured above) and the vegan french toast with chorizo tempeh and kale, their chef recommendation. Sadly, the french toast was pricey and underwhelming. Thankfully, the omelette made up for it. At 1050 yen, it was admittedly on the pricey side but really, the ambience was everything. Skip the coffee though, it was so-so. 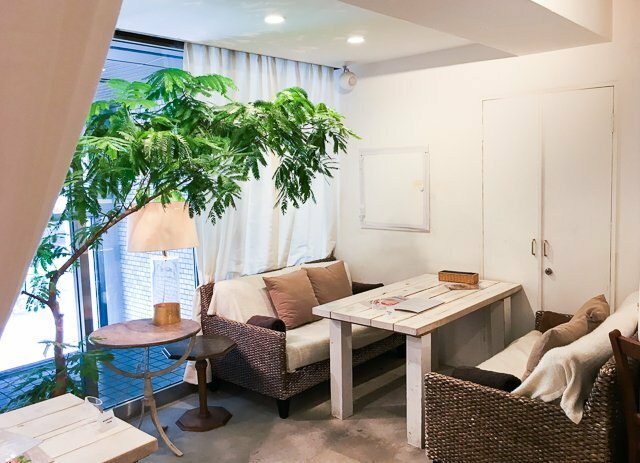 Aoyama flower market has a hybrid concept with a cafe and florist in the same location. We visited the branch just opposite Omotesando subway station and the interior was just mad gorgeous. With a florist just beside, it was not surprising that they used petals in their dishes. 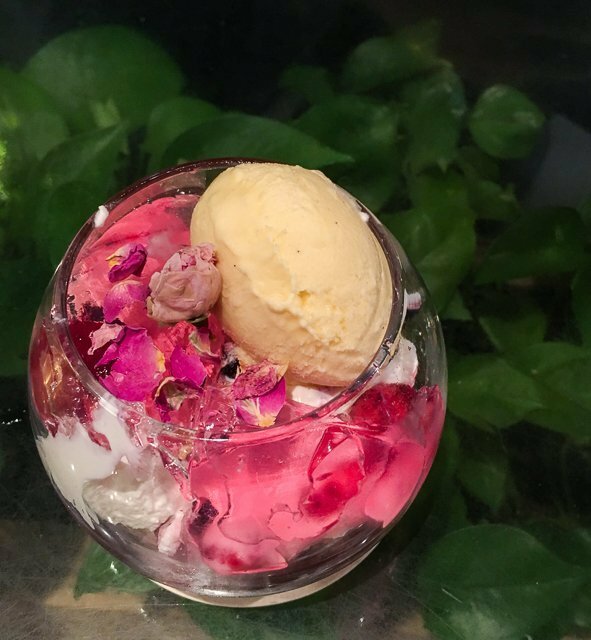 The flower parfait is a beautiful dessert decorated with pink petals and tastes great, so I’ll highly recommend you to get that. And if you have any recommendations of your own, do share them in the comments! We will surely be visiting Japan again, so any recommendations are much appreciated.